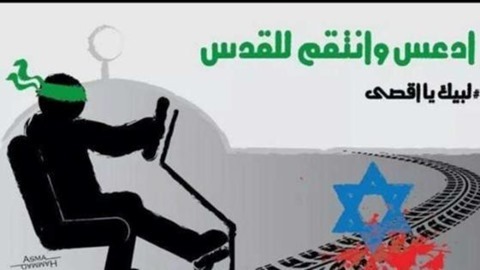 Run [them] over, destroy, annihilate, blow them up; Don’t let the Zionist live long… Today, the entire people demands a hero willing to fight with weapons. He began fighting with a car, running them over like rabbits. 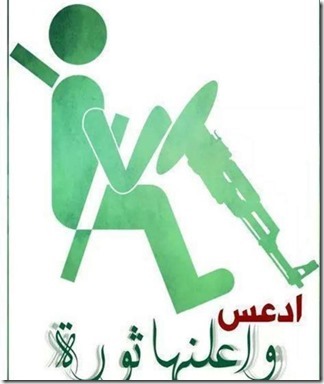 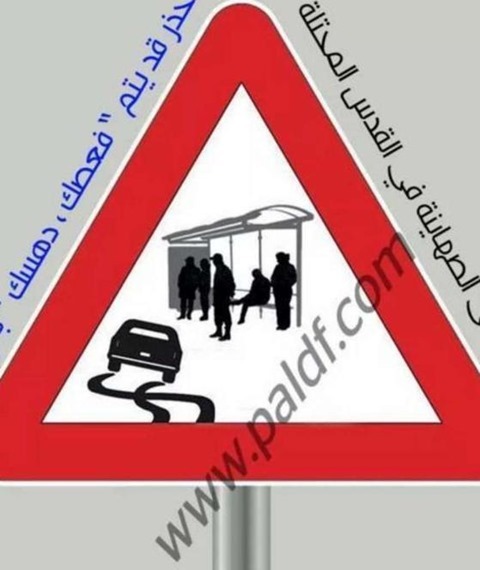 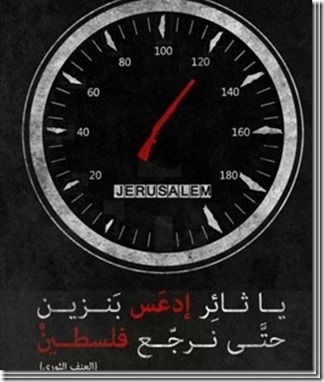 Palestinian Media Watch also reported on a cartoon appearing on one of Fatah’s official Facebook pages (“Fatah-The Main Page”), which carried the label “the run over organization” and urged people to “Hit the gas at 199 [km/h] for Al-Aqsa.” On another Facebook page, “The National Liberation Movement – Fatah,” a cartoon is posted showing a car going after three fleeing stereotyped Jews wearing hats with the Star of David. 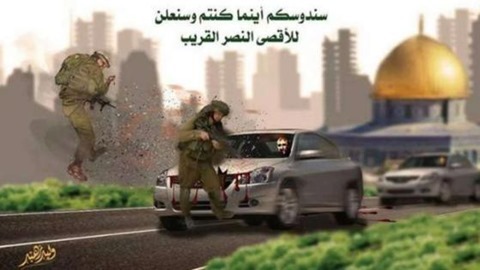 Hamas leaders have urged their followers to use their cars and knives to spill as much Jewish blood as possible. 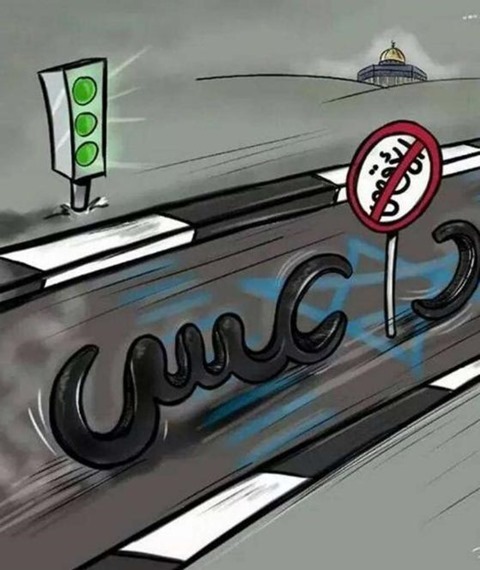 Palestinian Authority President Mahmoud Abbas called on Palestinians to stop Jews from visiting the Temple Mount in Jerusalem, the holiest site in Judaism as well as the location of the Islamic Al Aqsa complex, by using “all means” necessary. 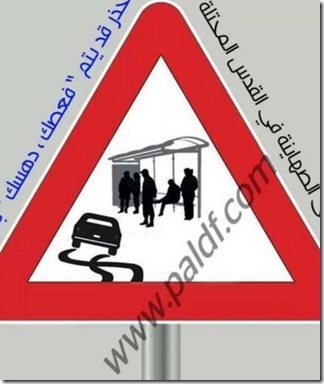 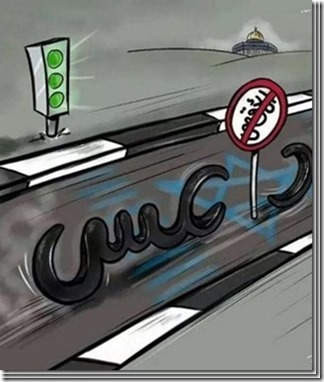 This last cartoon seems to be the Arab writing of Hamas racing on the street. 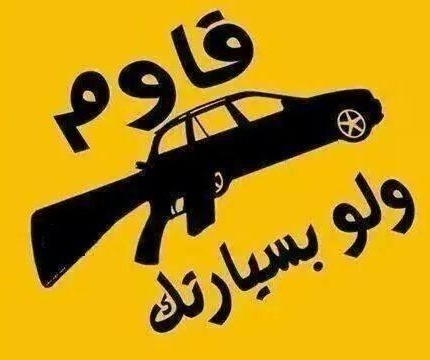 When anything can, and is, used as a weapon, then the REAL weapon is “diversity.” The way I see it, Israelis now have little choice but to curtail the use of automobiles/trucks etc. 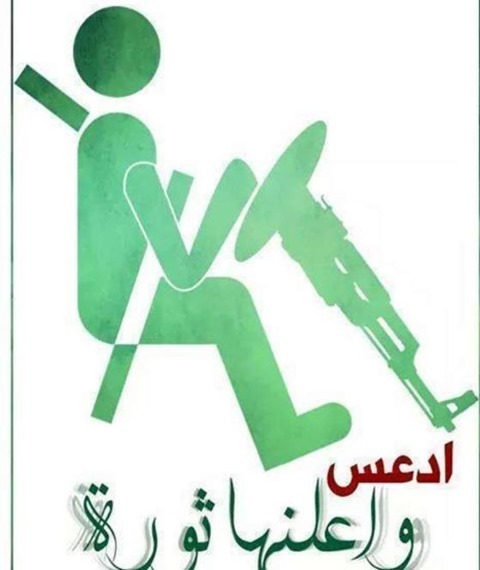 by Palestinians in Israel. 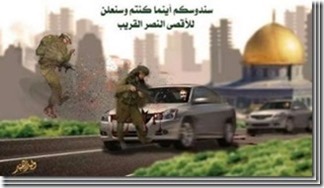 As for Europe, they’ll have to erect barricades around Jewish sites such as schools, markets and synagogues. 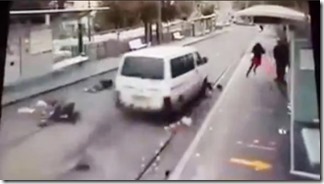 During the attack, the bus driver managed to alert his dispatcher and plead over the phone for help. 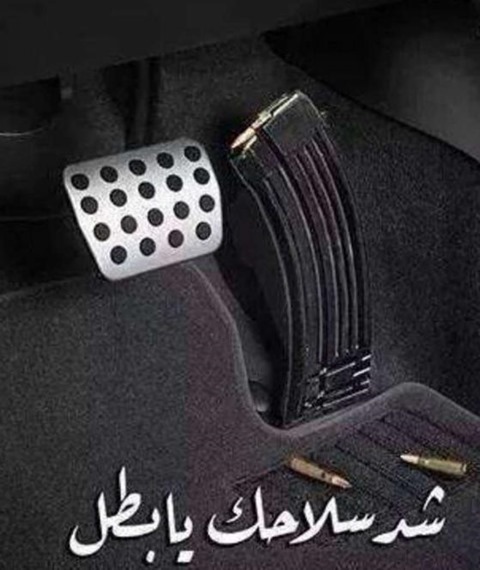 “Save me. 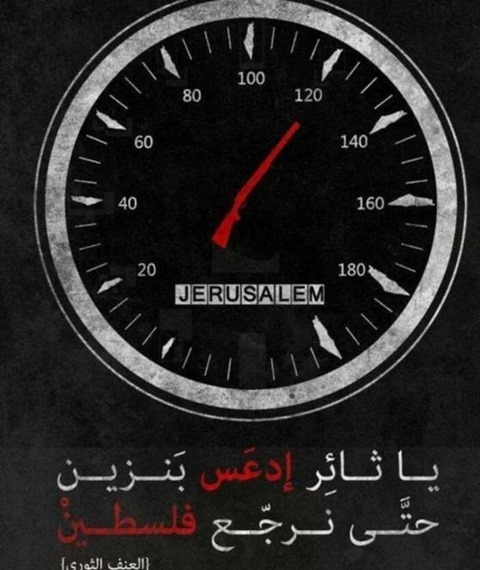 I have been seriously injured, stabbed all over my body. 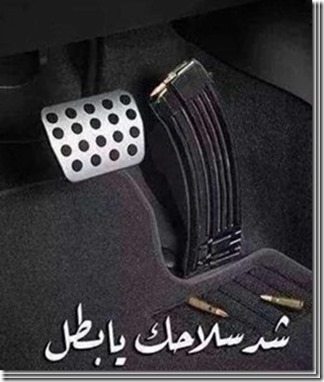 He has stabbed my passengers … If anything happens to me, look after my children,” the driver said, according to the dispatcher’s account on Army Radio. 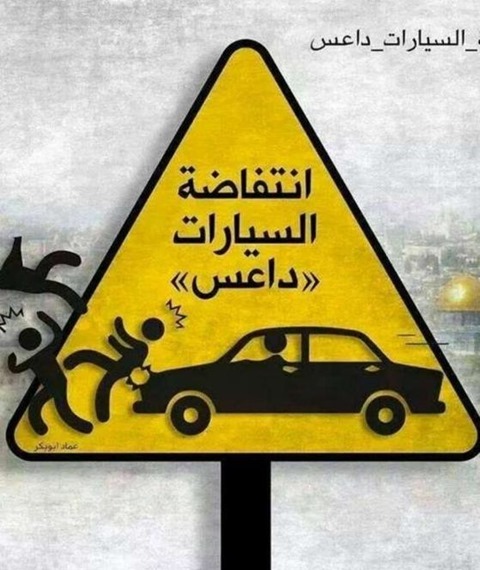 There was no immediate claim of responsibility for the attack, but Sami Abu Zuhri, a spokesman for the Hamas Islamist group that controls the Gaza Strip called it “the natural reaction to Israeli terrorism against the Palestinian people”.